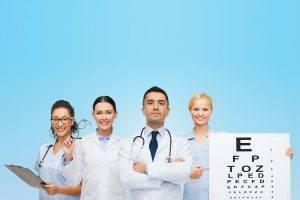 Our proficient ophthalmologist and optometrist are available 24/7 to provide our patients with any immediate care or to deal with cases that require emergent surgery or procedures depending on the case. We highly recommend that you schedule an appointment immediately if there is any injury or infection occurring near or in the eye area. Our active staff may offer treatment that may include medication, supportive care, follow up, or referral. If immediate assistance is required in any condition during normal business hours you can contact us at 305-538-1201/305-948-4300 during the evening or on weekends we can be reached at our emergency number: (786)303-3320.